The activities of the regiment during the month of January fall into two phases: the holding of strategic high ground which prevented the German forces from pushing their columns towards Liège. In this period, the regiment was committed to patrolling actively the enemy-heId terrain to their front. The last week of January, at which time the German bulge into Eastern Belgium had been reduced to nothingness, saw the unit drive against the enemy defenses in the Belgian sector and then into the outer defenses of the Siegfried Line in Germany proper. Both defensive and offensive assignments were carried out in the most skillful and efficient manner in the face of appalling weather conditions. The first day of the new year found the regiment still on the ridge of Dom Bütgenbach. The early hours of the morning passed without incident. Arrangements were made to strengthen the regiment defenses with minefields and wire defenses stretching in a belt from the 2nd Division elements on the right to those of the 1st Division elements on the left. During the afternoon, enemy batteries that had been subjecting the 3rd Battalion positions were silenced when friendly planes bombed and strafed the Northwest part of Büllingen in which the hostile batteries had been located. From prisoners captured on the previous day, Division believed that a new enemy unit was taken over the sector facing us, and a raid was planned to establish enemy identification of units, and to give the new men experience in penetrating enemy positions at night. The intense cold had brought out one valuable bit of information on the sticky grenades: the cold negatived their effectiveness. Several V-1 bombs fell in the area, but these proved duds. An enemy OP spotted to the southwest of the enemy-held town of Büllingen had been placing mortar fire upon "F" Company's positions, and a raid was planned by members of the "F" Company and several members of the 2nd Battalion Headquarters Company A & P Platoon. This group starting out at 0300 hours was driven back initially when it encountered an enemy group, but started out once more at 0525 hours, and this time succeeded in penetrating the enemy security guard flung about the OP, and blew it up with TNT blocks. A 3rd Battalion patrol from "L" Company investigated small-arms fire to their front, but discovered the enemy group attempting to attack an outpost had withdrawn. From "C" Company came information from one of its patrols that led to the artillery firing a mission upon an enemy OP that set it afire. The intense patrolling revealed the information that Division desired: the 89th German Infantry Regiment of the 12th Infantry division had replaced the 12th SS Panzer Division elements facing us. Work on the mine-belts in front of the regiment was held up pending investigation of mines that blew up when the safety pin was removed. The safety procedure called for the removal of the safety pin before inserting of the fuse, this precaution averting any explosion. Enemy groups in our sector were given little opportunity for rest as patrols from all three battalions again prodded at the enemy defenses. "B" Company worked a patrol to the crossroads at 930007, withdrew after a firefight that revealed enemy positions. "F" Company also stirred up enemy reaction to their probing, and after a firefight at 937010, brought back locations of several enemy mortar positions. "K" Company rescued an Company member who had been lost when that company's patrol had withdrawn after intercepting an enemy patrol headed towards our lines. Questioning of two prisoners from these forays revealed other mortar positions which gave our mortar and artillery batteries definite targets to pinpoint and take under fire. A hostile attempt to push against our lines was detected by 1st Battalion outposts and automatic rifle fire pinned down the enemy machine-gun crews of the enemy patrol, which withdrew after suffering several casualties. Enemy artillery fire increased during the afternoon and early evening. Harassing enemy artillery fire was laid in on the 2nd Battalion area during the night, but this caused little damage. The 3rd Battalion patrols worked to 948022, 949021 and turned back only when threatened with encirclement by alerted enemy patrols. Patrols from the 2nd Battalion reported machine-gun fire from two knocked out enemy tasks at 942015. The day passed without further incident. Artillery fire was placed upon the Northwest road leading out of Büllingen where "K" Company outposts had detected enemy movement. "L" Company called for mortar fire which caught an enemy patrol in the open and drove it back. "L" Company reported enemy tanks or field pieces and twelve to fifteen Germans at 945038, and these were taken under artillery fire which quickly dispersed the force. Patrols again took toll of the enemy. "F" Company located an enemy machine-gun emplacement, laid an ambush for the enemy and killed or wounded the entire six-man enemy crew. It withdrew. Another patrol returned with report of enemy OP at 945020, and this was set on fire by artillery. A platoon from the 1st Battalion proceeded to 917020 where it gave the enemy a busy time of it. One squad was pinned town by machine-gun fire. The rear squad worked to 922017 and then West where it too was pinned down. The third squad moved to 914017, and then ran into small-arms fire prior to being counterattacked and driven back. The whole platoon disengaged itself from the enemy and returned to the company. Definitely it had been established that the enemy held the wooded area to the 1st Battalion front in strength. Attempts were made throughout the day to find billets for the reserve elements of the regiment, but when it was discovered that the command would be split up due to lack of sufficient buildings to shelter a unit in one group, the decision was taken to keep the regiment in present locations on the ridge. Engineer School and Browning Automatic Rifle School initiated. The A & P officer of each battalion and selected non-commissioned officers were to learn from Engineer instructors the latest techniques in mine-laying, erecting of wire obstacles, and road blocks. The school on Browning Automatic Rifles concentrated on the maintenance and care of these valuable weapons. "G" Company patrols penetrated enemy lines as far as 935011, and were driven back after a sharp fire fight. More enemy weapon emplacements were spotted by "K" Company groups and mortar fire placed upon these at 945021. "A" Company sent a patrol out to 918017 but no contact was reported with the enemy. Both 2nd and 3rd Battalion patrols kept up their harassment of the enemy lines, with "E", "F", "G" and "K" Company patrols moving into enemy terrain but reporting little enemy movement in the intense cold. Companies "E" and "F" changed positions during the evening. A raid was planned for the following day with the mission of bringing in PW's for questioning. 3rd Battalion patrols probed as far as 952024, hit wire defenses, pushed through to the railroad station at which point they encountered heavy small-arms fire, but pressed on to the bridge near the station. Spotted by enemy mortar groups at 945026, they were driven back. A 1st Battalion patrol leaving our lines in the afternoon returned at 1800 hours with two prisoners and a machine-gun that they had captured. These prisoners were dressed in parts of American clothing, which they claimed was issued to them. Snow had been driven by the wind into such high banks that it was necessary for the 2nd Battalion to ask for a snow plow to keep roads to the company CP's open. Arrangements were made to relieve the unit. Arrangements were made for withdrawal of unit and billeting of the regiment. The 23rd Regiment of the Second U.S. Infantry Division sent its advance details to look over the positions on Dom Bütgenbach. A patrol sent out earlier in the day to place observed mortar fire upon suspected enemy OP had been driven back, with two of the patrol members reported wounded by booby-traps. A combat patrol sent out to rescue the two found that the German patrol had taken these with them, but managed to retrieve the 300 radio that had been left in a barn. Patrols and listening posts left the company lines as usual during the night and early morning. The 2nd Battalion reported an enemy tank warming up its motor in Büllingen. At 1045 hours Division notified the regiment of the postponement of relief. This order had emanated from higher headquarters, which stressed that not a single man, and not a single gun was to be removed from this highly important "hot spot" astride one of the main roads leading out of Belgium into Germany. Engineers and Browning Automatic Rifle Schools were resumed. The rest of the day proved quiet. Short of the objective it was assigned to investigate at 940013, "C" Company patrols ran into machine-gun and small-arms fire. Enemy patrols detected in the 2nd Battalion area were dispersed with mortar fire. Rest of the day passed without incident. To the East and Southeast, the German bulge into Belgium was being steadily compressed into a smaller area. Defenses in the battalion areas were farther strengthened throughout the day, with the engineers furnishing the mines and the timber. "I" and "K" Company patrols ran into enemy patrols, while 2nd Battalion reported that its patrols had not made any contact with the enemy in their sweep of the woods to their front. 2nd Battalion patrols reported enemy movement West of Büllingen, and artillery fired a mission on this group, and upon a house at 94800018. The constant probing and patrolling had stung the enemy into building up a strong line around 940013. "F" and "G" Company reconnaissance groups established this in their early morning patrols. "L" Company reached at the railroad station at Wirtzfeld, where it was turned back after a firefight. At 0800 hours a 2nd Battalion outpost brought in two PWs who were dressed in civilian clothing. "A" and "C" Companies changed position. "C" Company returned to the 1st Battalion, with "A" Company going into reserve. "G" Company took "C" Company's place in the 2nd Battalion line. Questioning of PWs revealed: two enemy companies in Büllingen and 100 civilians. Battalion CP at 94950192, Company CP at 94440160, Platoon OP at 94060188. These locations were turned over to the artillery for fire missions. An indication of the general state of information possessed by the German Army was the four-day pass to Bütgenbach found on a PW who had been taken by an "E" Company outpost. This was to be the first of similar cases. Interrogation disclosed nothing unusual. A duel between "F" Company's mortars and enemy mortars resulted in the silencing the hostile weapons. "L" Company patrol got to an enemy outpost in a farmhouse and routed the Germans out of it before returning to their own lines. "G" Company reached points 922012 and the crossroads 930007. On this day both the 16th Infantry Regiment and the 18th Infantry Regiment jumped off is the attack. Our orders were still to hold the ridge. Camouflaging of tank destroyers and anti-tank guns by painting them with white-wash was completed as the regiment still stood by and pushed two patrols out. Three prisoners were taken from the 10th SS Regiment. There had been a marked decline in morale since the beginning of the month. The most comprehensive picture of enemy defenses in and around Büllingen was obtained from a prisoner today. It placed the 6th Company, 1055th Regiment, north of Büllingen, the 7th Company to the West, the 8th Company in the town, and the 5th Company to the East. The enemy resistance had built up on the 18th lnfantry Regiment's flank, and it was planned to lay down mortar fire on the edge of the woods near the crossroads from 921014 - 928012 and from 920008 - 927012. Artillery fire was to pound 933997- 928001 - 935007 at 1040 hours. When mortar fire began ranging in on the woods, enemy mortars attempted to silence this and were instead silenced by our mortar fire. An enemy anti-tank gun firing at the 1st Battalion positions from an emplacement at 917017 was also neutralized. Despite the increased activity of mortar and artillery batteries, patrols were again pushed out, the morning patrols reporting no enemy contact. The snow had piled into such high drifts that a tank dozer was in use to push aside paths to the company CP's. The Engineer School was called off because of the scheduled meeting of battalion S-3's and the staff officers concerning plans to commit the regiment in the near future. Patrols again were pushed out to the woods. All patrols encountered the enemy, on alert against probes, and withdrew after heavy fire-fights. The 3rd Battalion of the 18th lnfantry Regiment had met heavy resistance, and the 1st Battalion was ordered to send out a patrol to its front to reconnoiter the terrain to ascertain what enemy defenses lay there. These returned with the information that the enemy had built up a line in the woods. The 3rd Battalion, 26th lnfantry was relieved by the 1st Battalion, 9th Infantry Regiment at 1300 hours, and assembled in the vicinity of Niedrum. 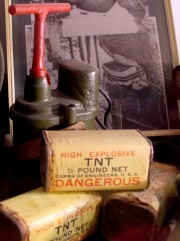 In an effort to help the soldier dig in after securing his position, it was decided to give the soldier a pound block of TNT which was powerful enough to blast a hole in the frozen ground to the layer where soft earth was again encountered. The 2nd Battalion again was subjected to active enemy artillery fire upon its positions. "C" Company patrols to 928008 found prepared enemy defenses which were unoccupied, pushed on to 932001 where it scouted enemy positions. "F" Company probed as far as 943019 without drawing enemy fire. The 2nd Battalion relief was contemplated in the early afternoon. Definite plans took shape in the committing of the regiment. There were the usual patrolling activities. There was a final meeting of battalion leaders and staff officers as plans were laid out for the regiments attack on the morrow. The crossroads was the objective. At 0400 hours the 1st Battalion attacked. As planned, the drive developed South to the main road to secure the crossroads at 930007. "C" Company moved out in the lead, worked East to crossroads and above the crossroads to clear out the woods. "B" Company then pushed through "C" Company on the South down the main road and seized positions astride the road. "A" Company entered the woods at 926016, swinging South to clear woods, then moved to the Southwest road leading away from Büllingen at 950008. By 1000 hours the 1st Battalion reported it was on its objective. Light enemy small-arms and mortar fire had been met. Main obstacle had been snow. At 1100 hours the 3rd Battalion jumped off to seize the high ground at 927997. "L" Company led the attack, with "K" and "I" Companies bringing up the rear of the battalion column. By 1300 hours the 3rd Battalion had contacted the 1st Battalion and worked up on line on the high ground. An indication of the enemy knowledge of the situation was the incident of the two enemy linesman. The 3rd Battalion had captured a German aid-station with some wounded Germans in it, and shortly after it had been secured, two German wiremen laid a line right up to the aid-station. "K" Company pushed to crossroads, and secured its position without resistance, reporting contact with the 18th lnfantry Regiment on the right. Mine-fields were laid and tied in with the 16th and 26th Infantry Regiments. The mine-fields were extended to the 2nd U.S. Infantry Division and the 18th lnfantry Regiment mine-fields so that a continuous belt of mines lay in front of the regimental positions. Heavy mortar and artillery fire was placed on the 1st and 3rd Battalion positions. The heavy snow had held up vehicles from following the infantry to our objective, and dozers cleared a two lane road to the positions. Enemy reaction to the attack was directed at the 1st Battalion. But the company of enemy infantry was dispersed with artillery and mortar fire, and several PWs taken. Plans for furthering the attack gave the 3rd Battalion the town of Büllingen as its objective, and the 2nd Battalion the town of Mürringen. To secure better positions for the two battalion jumping off in the later attack, the 1st Battalion secured the woods to the Northeast corner at 943006. At 0200 hours the 3rd Battalion launched its attack. "L" Company moved North along the road from Möderscheid to Büllingen, with "K" Company driving from the South along the road running into town from the South. "I" Company brought up the rear of the battalion. When "L" Company ran into stubborn machine-gun fire, "I" Company swung to the left of the pinned down company and cleared the enemy from the Western outskirts of the town. By 0930 hours the town was cleared and the enemy pushed out of their positions at the crossroads Southwest of the town. Again the tank dozers cleared a path for the tanks and tank destroyers to get into the town. Continuing the attack, the 2nd Battalion attacked shortly before midnight and cleared the woods between Büllingen and Mürringen. "E" Company cleared the Northern part of the woods, "G" Company the Southern end. "E" and "F" Companies joined at the Eastern edge of the woods and then attacked the town together. Resistance was spotty, and the main obstacles in the path of the battalion were the deep snow, the blown bridges at the edge of town, and the mine fields before and in town. Mürringen was cleared by 1000 hours. Positions were secured during the day. The 2nd Battalion attacked once more, jumping off at 0045 hours. Resistance was light, and the battalion was reported closing in on the objective at 0900 hours. The Northwest corner of Hünningen held out until an assault by two battalions reduced the strongpoints there about one hour later, and consolidated positions. Pushing out of the town, the 1st Battalion passed through the 2nd Battalion position and pushed against the Siegfried Line defenses. Having secured the pillbox defenses assigned the battalion, the 3rd Battalion then passed through the 1st Battalion and by 1700 hours had secured its objective. In the swing through the fringe of enemy defenses, five enemy tanks had been trapped, and heavy artillery fire was called upon the enemy armor. The end of this first month had seen the regiment again piercing the Siegfried Line defenses to enter Germany the second time. Despite intense cold, driving winds, heavy snow, and the utmost efforts of the enemy to contain the forward movement of the unit, the regiment had performed its assignments brilliantly.